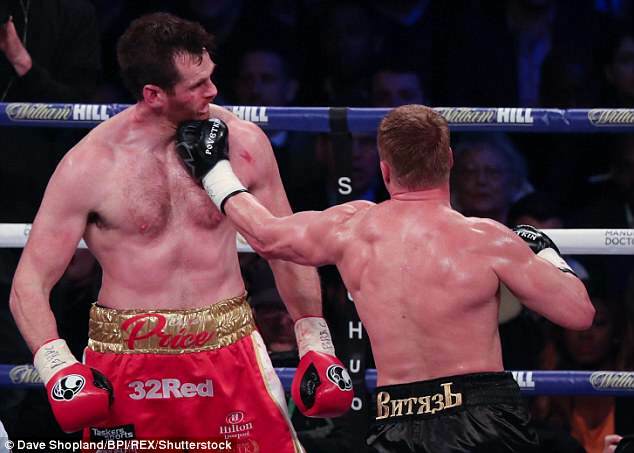 David Price has revealed he’s had over 40 stitches in his face following his brutal knockout defeat to Alexander Povetkin on Saturday night. 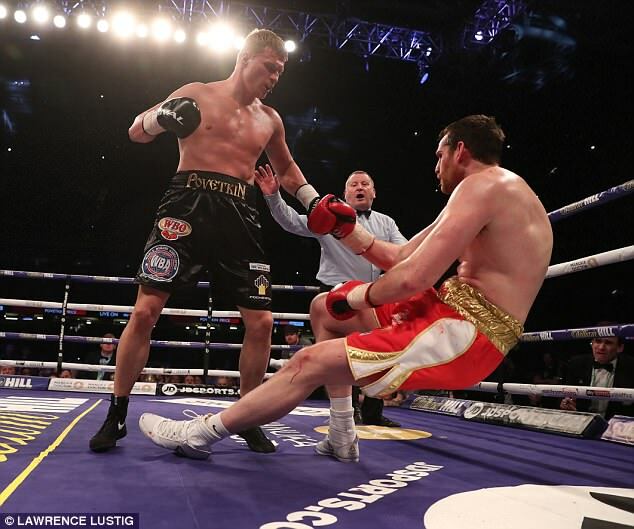 The Liverpool fighter was laid out by a brutal two-punch combination from the Russian heavyweight on the undercard of Anthony Joshua‘s unification clash with Joseph Parker. 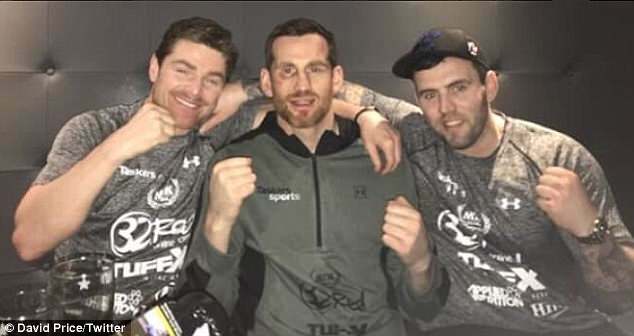 Price spoke about his ‘rough night’ on talkSPORT before informing listeners about his fractured nose and the large amount of stitches he required in his mouth and on his eye in the aftermath of the bout. 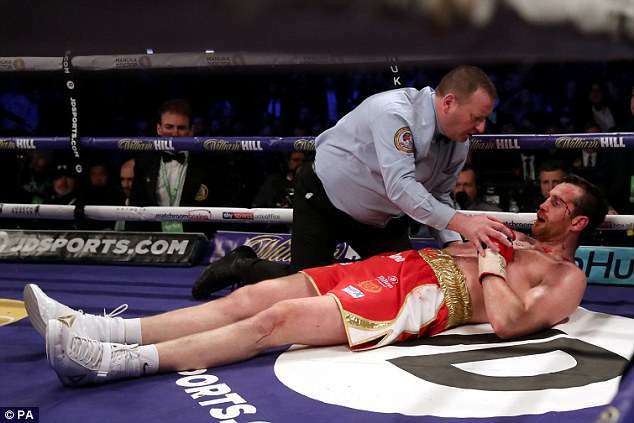 Price told Alan Brazil on Wednesday: ‘After the fight I got checked over in the medical room at the stadium, and they said it would be better to just go to hospital. I agreed, to be safe, and they gave me the all-clear. ‘I had a fractured nose, had 30 stitches in my mouth and about 12 stitches on my eyes. It was a rough night! 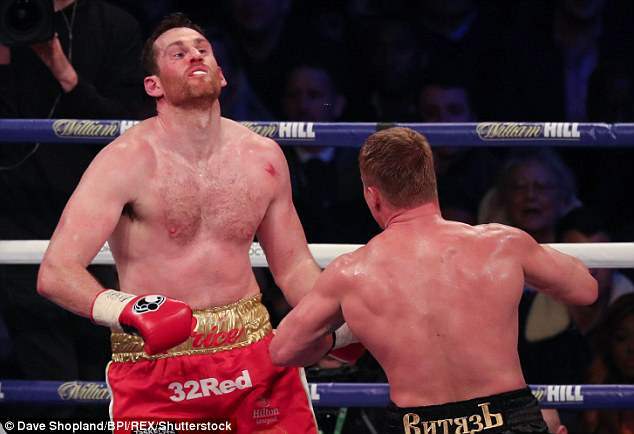 The 34-year-old put fans’ minds at rest on Sunday when he announced on Twitter that he was ‘all okay’ following his bout at the Principality Stadium in Cardiff. Price wrote on social media: ‘Just letting you know all is ok. I took this fight and understood the risks involved, but if you don’t have a go- you’ll never know.